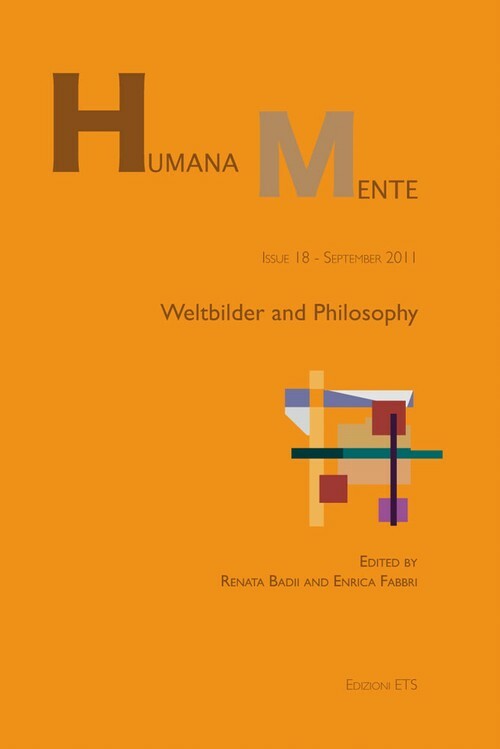 On approaching this issue of Humana.Mente, readers could maybe wonder why a theme such as that of Weltbild could be considered relevant for philosophy today. Of course, the debate on Weltbild, a term that can be translated in English as "world image" or "world picture", represented an important moment of the late-modern German-speaking philosophical debate, at least from the second half of the nineteenth century until the 1930s, before slowly fading out in the 1970s. From Wilhelm Dilthey to Edmund Husserl, from Max Weber to Martin Heidegger, passing through thinkers such as Franz Borkenau, Karl Jaspers, Ernst Cassirer and Ludwig Wittgenstein, until the works of Günther Anders and Hans Blumenberg, the idea of Weltbild and of what we can call the "family of concepts" related to it (such as Weltanschauung, Weltauffassung, Weltansicht, Lebensanschauung, etc.) seems to represent a characteristic element of the particular "philosophical Stimmung" of that specific epoch.